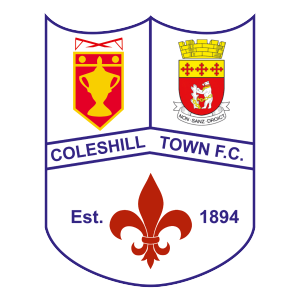 COLESHILL Town lost ground on the play-off places at the weekend after a shock loss at Pack Meadow to Kempston Rovers. The away side shocked their hosts when being awarded a second minute penalty, after Alfie Powell was held back from a corner-kick. Izale McLeod sent Paul Hathaway the wrong way to put Coleshill on the back foot straight from the kick-off. 12 minutes in, Jordan Nadat squandered a headed chance from a corner, whilst Matt Jackson picked up a booking after McLeod continued to cause more torment to the Coleshill defence. Nadat was presented with further opportunities but didn’t have that clinical edge to his shooting on the day against a resolute Kempston defence, but in the hosts backline, Jackson did not appear as sturdy himself. Already on a booking, he looked to get a move going from deep but a poor touch meant he had to lunge in with a challenge on George Boland who had nipped in to steal possession, taking the Kempston man down with him. The referee reached into his pocket to produce a straight red card and add further woe to the Colemen’s chances. Despite a man disadvantage, Coleshill were able to draw level. A clearance was charged down that allowed Craig Deakin to play in Nadat who clinically dispatched the opportunity. A gritty game ensued following the leveller, but for the momentum in the game that it had helped Coleshill to build being a man down, they went behind a second time. Scott Joseph took on his man on the right-flank and cut a cross back towards Jordan Green, who’s attempt to clear ended up in his own net. Coleshill looked to burst forward and claim another leveller, Joe Smith having a golden opportunity from close-range to fire home, but he was kept out by Carl Knox who stood firm. The man disadvantage began to have a bearing on the game in the latter stages, as chances arose for Joseph, Dan Clifton and Shane Bush, but Hathaway’s intervention to stop any further Kempston goals kept his side in the game. A last-gasp corner presented an opportunity to stake an equaliser, which Hathaway saw as a chance to enter the penalty box, the set-piece was cleared but only as far as Clifton – who went for goal from inside his own half but seeing his shot go just wide of the empty Coleshill goal. The Colesmen will face another lowly side in Dunstable on Saturday (3pm) – an immediate chance to get back to winning ways.